Flash freeze your fresh makeup application with our setting spray that’s been formulated to prevent cracking, fading, and creasing. Infused with Aloe Vera, this formula keeps makeup in place for a comfortable, long-lasting wear. 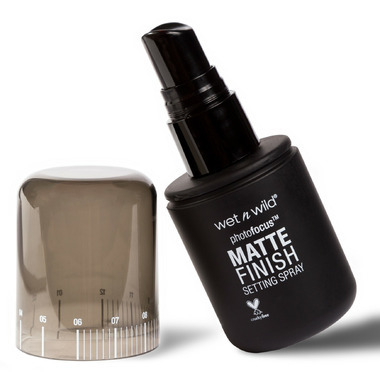 The ultra-fine mist delivers ultra-long stay for the matte finish of your dreams. Shake well. Apply after your makeup routine. Hold the PhotoFocus Setting Spray 8 inches away from your face and mist in a criss-cross pattern. Nice spray, feels hydrating. Trouble with pump about mid-way through using. 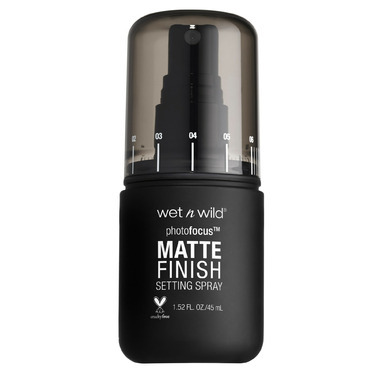 I love this spray for my no-full face-makeup days! I only use a dab of concealer under my eyes and than spray a few pumps of this on my face and I'm set! I dont get oily and my face just looks fresh. Great product for a great price.